For the first time at London Collections, Barbour is showcasing looks from its Heritage Tweed and Core Essentials ranges. Established in 1894, Barbour has a history and heritage of over 120 years. As I was accepted late on for London Collections: Men it didn’t give me a lot of time to apply for invites to the shows. I did send an email off to Barbour but was too late. Sad times indeed, but did I let that stop me? No! After making an acquaintance along the way I did manage to get in to see the presentation and I was pleased that I did as I am a fan of Barbour. Craig from Eldred Grove reviews the Paul Hewitt Classic Line watch. Inspired by the timeless chic of the “preppy style” originating from the USA, Paul Hewitt products represent casual authority coupled with lively colours and a touch of maritime flair. Paul Hewitt interpret the term “preppy” as an element of an individual lifestyle, which is holistically reflected in the mentality of the brand. 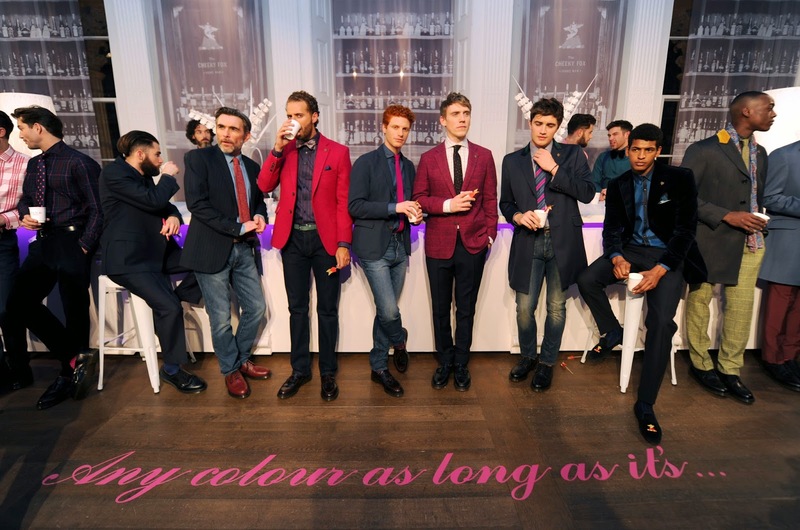 As part of the showcasing of great brands and designers at this January’s London Collections: Men, Thomas Pink, the leading Jermyn St shirt maker, unveiled its London inspired Autumn/Winter 15 Collection at the Institute of Contemporary Arts (ICA). Included in this season’s model line-up was former Scottish international rugby union player and Strictly Come Dancing contestant, Thom Evans.